Preparing for your OSCE can be extremely daunting and simulation stations are often some of the most challenging stations to perform. 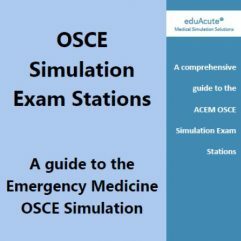 Practice is essential to perfect the language, confidence and approach to these stations and the OSCE Simulation Exam Stations will help you immensely. Practice however can itself be challenging as access to complete stations with scripts and equipment is rare. 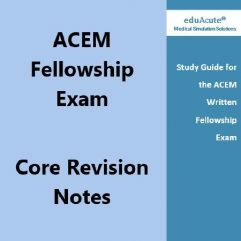 This book tries to break down some of these barriers, it provides complete scripts and marking schemes so that any of your colleagues can assist your practice without the burden of preparation. This book also gives tips on equipment that can be substituted in order for you to be able to practice without access to an expensive simlab. And as you approach your exam day you can run through these scenarios in your brain, practice the phrases that you might use and follow tips on what to do with the dreaded mind block. The Candidate Instructions, Investigation Results, Marking Sheet and Global Rating form can be downloaded and are printable but the rest of the book is only available with secure login access on your PC or tablet device. The book is a perfect companion to the 52 OSCE Communication Scenarios publication and the CHUSE Communication for the OSCE Course and will give ample opportunity for extra guided practice. 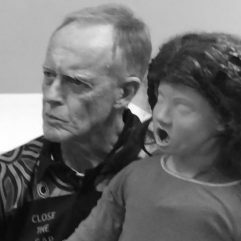 Paid registrants to the CHUSE Course have access to the book for the discounted price. 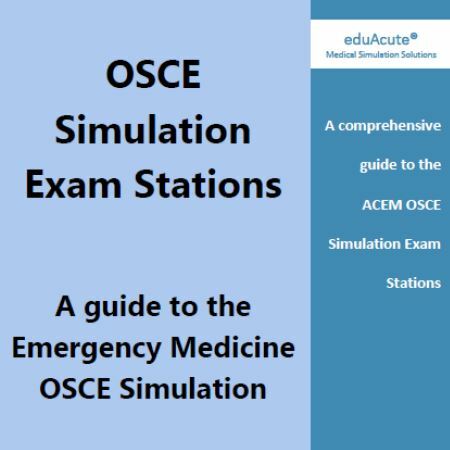 Those who register for the eduAcute OSCE Exam course or for our 2-day eduAcute OSCE Exam Package are eligible for a 50% discount of the OSCE Simulation Exam Stations book. To get the discount just use the code 12SIMS. Note that you must have registered and have paid for the Simulation for the OSCE Exam Course to be eligible. A book purchased with the code without having paid for the course will result in a cancellation of the membership and subscription.